The Attorney General is responsible for upholding the integrity of the Student Government Association’s Constitution and Code of Laws. 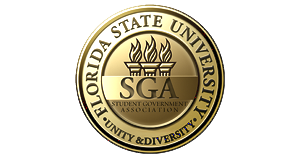 The Attorney General also advises members of the SGA on their duties and responsibilities, and writes executive orders for the Student Body President. Work with the Chief Justice to ensure governing documents contain no ambiguities and are enforceable under current codes. Ensure passed legislation is presented to the President in a timely manner. Collaborate with the Director of First Year Council and the Residence Hall Association to create an allocation process for the First Year Council that is more representative of the freshman class.